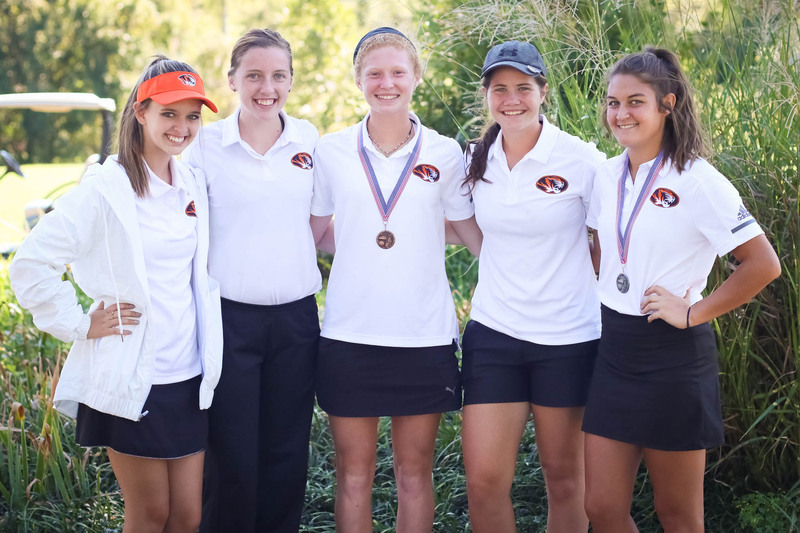 Ashley White finished second and Clara Fronabarger came in eighth at the Central Ozark Conference golf tournament at Horton Smith Golf Course in Springfield Thursday. The Lady Tigers finished third overall with a score of 383. White shot a 39 on the front nine before finishing with a 44 on the back to settle at a final score of 83. “I did get off to a pretty good start. I just needed to focus and keep doing good. I get stressed out toward the end, so I have to remember to relax and play my game,” White says. Fronabarger’s final score of 90 was a career best. She struggled for a stretch in the middle of the round, but, like White, her strong start helped her keep her focus. “It got a little rough, so I was just trying to focus on having a good drive, a good second shot,” she says. “If there were a few mis-hits along the way, it wasn’t going to totally destroy my score. Fronabarger and White both say their strong finish at COC give them confidence heading into districts. Districts will be at Carthage next week.